Sixteen-year-old Bentley Royce is the wild child of a super-glam reality TV dynasty. She has it all - designer clothes, a fancy school and an actual Bentley to drive around in. Her ambitious mum Mercedes has dragged the family from trailer park to Hollywood stardom. But Bentley wants out - she wants to go to college, escape her own storyline, be NORMAL - but Royces don't do normal (or college). 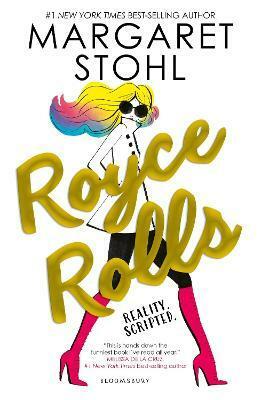 Royce Rolls is a laugh-out-loud funny romp with a twist of mystery - a behind-the-scenes comedy with a brilliant voice, a hilarious and subversive antidote to the Kardashians and TOWIE (which will still work for fans of both!). Margaret Stohl is the #1 New York Times bestselling co-author of the Beautiful Creatures series. Growing up in the shadow of Hollywood, Margaret spent her adolescence crank-calling Harrison Ford, living across the hall from a John Waters starlet, and waving to Starline Tours buses as they stopped to take pictures of her P.E. class at Mulholland Hall, where she first met Bentley Royce. These are and are not her stories.